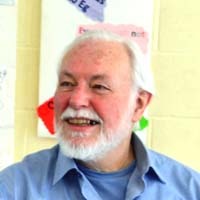 In the early 1990's a couple from the Church Centre (now Christ Church), Bob and Christina, made three trips to Romania to take clothing and medicine and to do dental work in orphanages. They made friends with a Hungarian pastor, István, and his wife Melinda, and have kept in touch ever since. 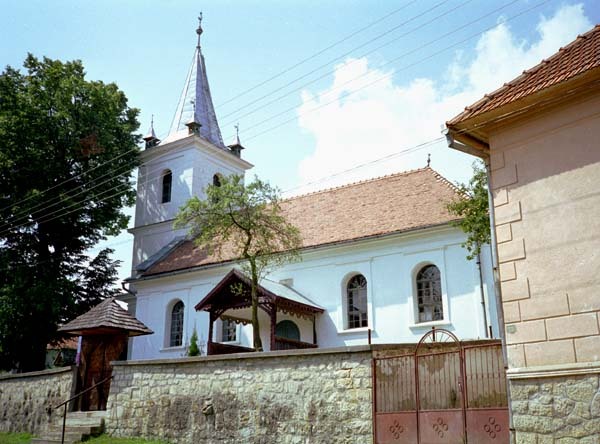 On a return visit, István preached a sermon in the Church Centre. Bob and Christina went to stay again in 2001 and 2004, and another family from our church have also visited twice. 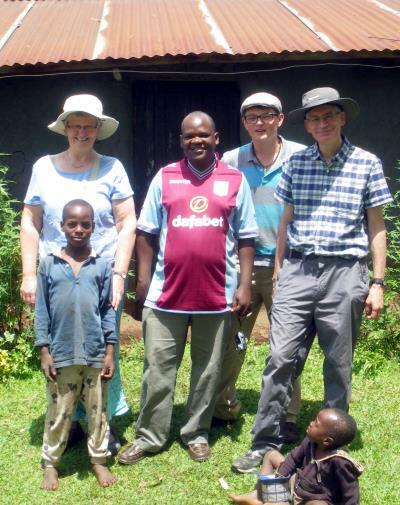 The link was strengthened in 2005 when, together with another church in Germany, members of Christ Church helped to buy a desperately-needed minibus to transport children from the village to school. István (second from right in the photo) is the pastor of the Hungarian Reformed Church in a village in the north-west of Romania. He is married to Melinda (left), a community nurse. Their two children are Boglárka and Dávid. The photo was taken on the day of Boglárka's Confirmation service, for which she wore a traditional costume. 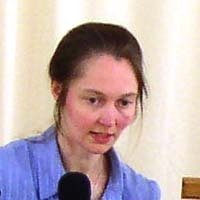 István and Melinda have chosen to stay in Romania to minister to the people there rather than enjoy a higher standard of living in neighbouring Hungary, which has a much more successful economy. 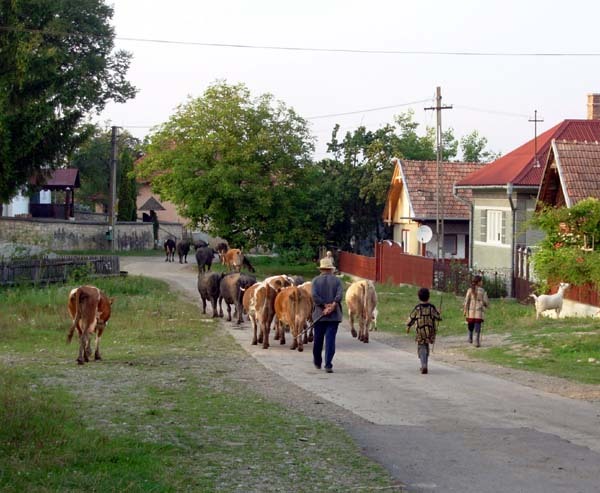 Romania is one of the poorest countries in Europe, and there is particular hardship in rural areas. Despite this, visitors are welcomed with great generosity. The Hungarian minority in Romania has a strong and distinct culture which was maintained throughout the years of Communist persecution. The church acts as a focus for cultural life as well as Christian faith, and the village has a strong community spirit. The church building is maintained with great care. Outside, the wooden doors are beautifully carved. 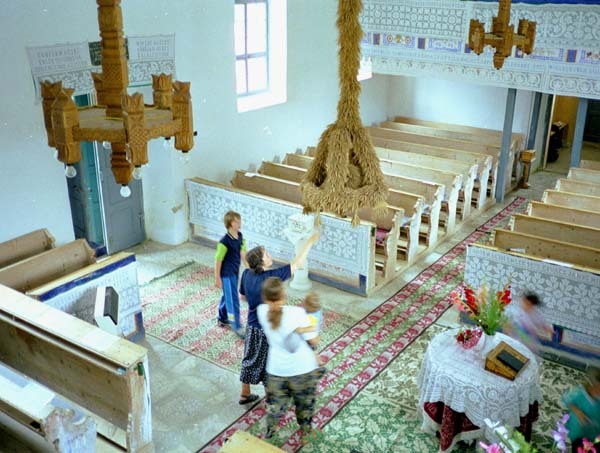 Inside, the church is decorated with embroidery, a craft practised with much skill in the area. The straw centrepiece hanging from the ceiling is made as part of the annual Harvest celebration. Agriculture is the mainstay of the local economy. Most villagers work in the surrounding fields and keep livestock. A lot of work is done by hand, with horses and carts used for transport. Early in 2009 the village received a major boost with the completion of a metalled road linking it with the nearest main road 2 kilometres away. The former bumpy track was often impassable in winter and could do damage to vehicles even in good weather.